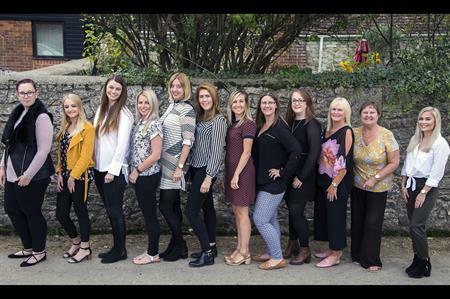 Agency Venues and Events International has created a 12-strong team of venue finders with four new hires and expanded its premises. Lauren Berry, Megan Paget, Sarah Horth, and Phoebe Scott-Browne have all joined within last three months and been trained by Annie Bailey, who has 29 years of industry experience. The venue finding team is now up to 12 people who work on a wide range of projects and report to conference director Laura Law. Venues and Events has also expanded the size of its office in Wanborough, Swindon, on an organic dairy farm. "I’m delighted the team has expanded to its current size," said Anita Lowe, CEO of Venues and Events International. "We’ve been looking carefully at hiring innovative recruits to help meet a strong increase in demand for event bookings. "The venue finders are very supportive of each other, and together their wealth of expertise is perfect to manage even the most complex booking. We are very lucky to have such a range and depth of experience in one office!" Event manager Eloise Perry is a relatively new hire herself, having only been with the company since March. "It’s been great working in an environment where you’re surrounded by some very experienced venue finders and event managers," said Perry. "I’ve been able to get detailed answers when I’ve been unsure about something and develop very useful skills."